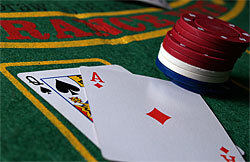 Not all those who play blackjack become members of Blackjack Hall of Fame and are considered to be the best blackjack players. 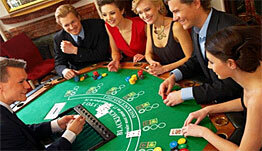 There are a lot of people, who have unusual and interesting fortune, which referred them in one way or another to blackjack game and gambling in general. And what about your fortune? Try to draw a 21 with Paddy Power Games and see if you are lucky enough to be a good gambler. Some of them happen to be striking personalities and don't suppose blackjack to be the game of their life, and some are fanatics who devote their lives and all time they have to mastering card counting and basic blackjack strategies. This guy is also known as "a man with a $100.000 breasts". His story is as unusual as he is. At the first glance, this man is just a common hot-tempered gambling figure, and in all casinos worldwide you can find hundreds of such people who appear to be average game-lovers. But Zembic is different. He's always been mad about bets. One of his bets led him once to wide popularity, and he got his fame of a man with breasts thanks to that very bet. To read more about it go to Brian Zembic section. Paul "Action Jack" Jackson is a professional blackjack player, but up-to-time info tells about him as more of a poker player. Nevertheless, he is rather well-known person whose tournaments prizes exceed $1.100.000. For more info look Paul Jackson section. One of the best known and talented blackjack card counters on the planet, who used to clean out the casinos so accurately and thoroughly, that soon they began to recognize his face and throw him out before he could do any substantial harm to their funds. A very famous player and author. For more info read Kevin Blackwood section. Probably one of the most wide-known blackjack personalities ever seen on TV and behind. A professional blackjack player, commentator, interviewer, and a host of annual Blackjack Ball - the highest level event related to blackjack in the world. For more info about Max Rubin visit the corresponding section. So that's they are. Not up-in-sky kings and masters, but ordinary people who, nevertheless, became famous thanks to their passion. People who liked to play blackjack and made their name, fame and money on this game.